History of earrings dates back to 2500 BC. In those days, earrings were worn only by the nobility. In the middle ages, this type of jewelry had taken a backseat as more importance was given to very elaborate hairstyles and neck pieces. 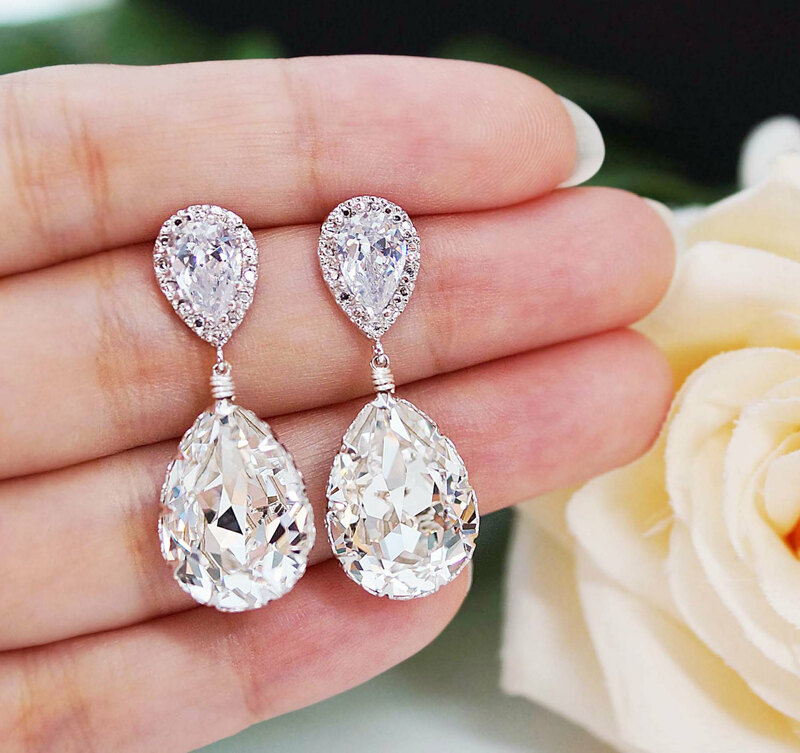 They did make a comeback, and the metals used in the making of earrings were so heavy that the weight of the earrings caused elongated earlobes. All precious metals such as gold, silver, platinum, and silver are used in the making of this adornment. Materials such as plastic, glass, and beads were used too. Precious gemstones like ruby, sapphire, topaz, diamond, and emerald were mounted on to the precious metal, giving the earring a more colorful, dazzling, and exotic look. These adornments are made in all shapes and sizes to suit all types of faces. There are dangling ones, hoops, studs, buttons, droplets, chandelier earrings and many others. There are earrings to go with evening wear, for business meetings, office and more elaborate ones for weddings and other functions etc. It would be interesting to note that in the days of Christ, it was said that wearing an earring was a demonic act. In India, in the earlier days, the Yogis practiced splitting their ears and placing large heavy earrings made of horn or glass at the time of their initiation into the sect. All that sounds crude with the advancement of technology and ear piercing is no longer such a tortuous procedure and is almost nothing more than pinprick now. People from most cultures believe in wearing earrings at a very early age. In many cultures, ears are pierced as soon as the baby is born. This jewelry have never been the prerogative of women alone, as men wore them in years of yore and now wear them as a fashion statement. They have become a unisex piece of jewelry. Today the trend of wearing multiple earrings at the same time is prevalent. The popularity of earrings has stood the test of time. They can enhance ones mood just my making a person feel confident and great. ← Do Those Anti-Aging Creams Really Work?